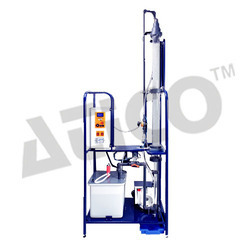 Our product range includes a wide range of gas absorption column unit and distribution trainer. The absorption column is designed to demonstrate the basics of gas absorption in the unit operations of chemical engineering. A glass absorption column is used to allow mass transfer between the absorption liquid and feed gases within the unit. Students are exposed to the working principles of a gas absorption column via wetted wall system. 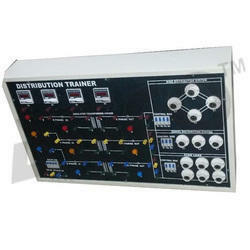 Advanced Technocracy Inc. is Manufacturer, Exporter & Supplier of Distribution Trainer. 1.Three phase main power supply siemens rated Value current rating (18A-24A) with protection. 2.Three phase main power supply siemens rated current rating (2.4A-4A) with protection. Looking for Engineering Instruments ?